Researchers at NASA have just discovered that the biggest black holes in the known universe are growing faster than previous researches revealed. It seems nothing in the Universe has limits! The speed at which ‘supermassive’ black holes – massive celestial bodies at the center of big galaxies – are expanding outstrips the pace at which their galaxies can produce new stars. This ultimately means that numerous of the universe’s major black holes are far greater than first thought, and they might be slowly wiping out their own parent galaxies, researchers say. This major discovery might re-shape our basic understanding of how galaxies and their massive black holes form and co-exist. Black holes are present in the middle of most galaxies. These Black holes are so dense that nothing, not even light, can escape their intense gravitational pull. These Black holes are formed when the center of a very massive star, at its last stages, collapses in upon itself. Data gathered by previous researches has recommended that black holes and the amount of stars in their galaxies develop in tandem with each other. Now two recent studies from researchers at NASA have now individualistically discovered that the biggest black holes essentially grow much faster than their galaxies produces new stars. 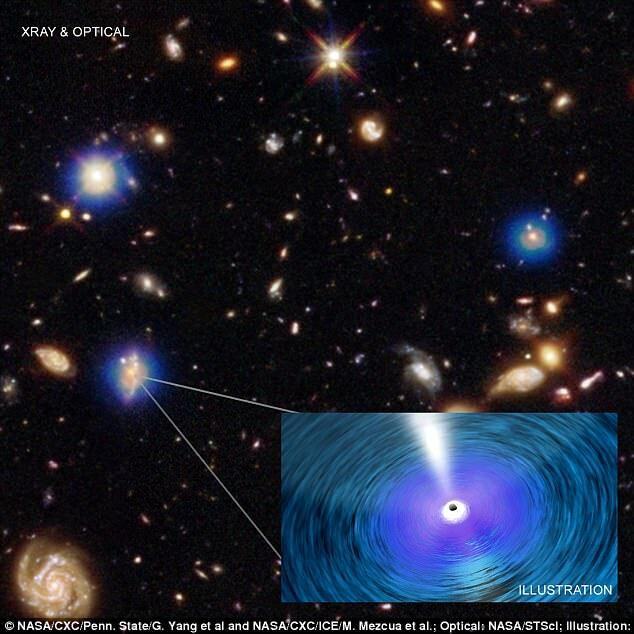 Data gathered by NASA’s Chandra X-ray Observatory, the Hubble Space Telescope and several other observatories, Dr Yang and his colleagues investigated the growth rate of black holes in galaxies at distances reaching from 4.3 to 12.2 billion light years from Earth. Dr Yang and his research group found that supermassive black holes developed almost 10 times faster in galaxies that were hosting 100 billion solar masses worth of stars, compared to galaxies containing about 10 billion solar masses worth of stars. This unique relationship was beforehand thought to be consistent, with the extent of the galaxy not swaying the speed the black hole grows. Another team of researchers individually found proof that the most massive black holes’ growth has outdone that of stars in their host galaxies. Dr Mar Mezcua, of the Institut of Space Sciences in Spain, led a team that studied black holes in some of the brightest and most massive galaxies in the Universe. They observed 72 galaxies located at the center of galaxy clusters up to about 3.5 billion light years from Earth. 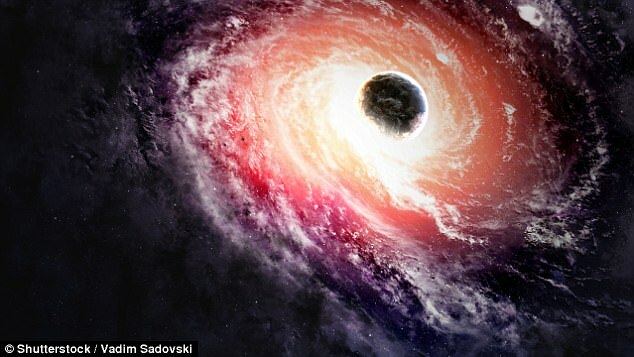 Dr Mezcua, said ‘We found black holes that are far bigger than we expected. Maybe they got a head start in this race to grow, or maybe they’ve had an edge in speed of growth that’s lasted billions of years.’ The scientists found that nearly half of the black holes in their section had masses projected to be at least 10 billion times that of the Sun. This puts them in an extreme weight category that some scientists call ‘ultramassive’ black holes. These black holes are massive like really massive than normal black holes.